There are many online card-based battle games for the mobile platforms, but it is very hard to find a decent one that you can play on PC and it not Hearthstone or Magic. 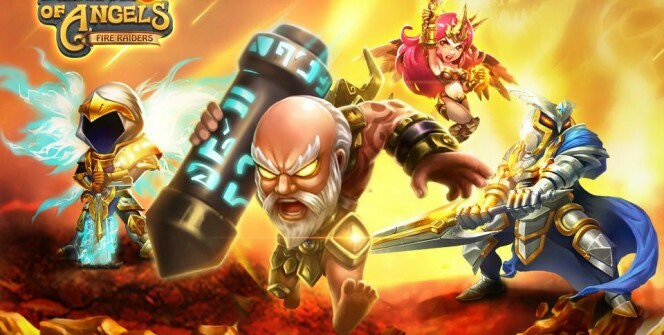 If you have an Android or iOS device, or a PC running Window or Mac with an Android emulator, take a look at League of Angels: Fire Raiders. 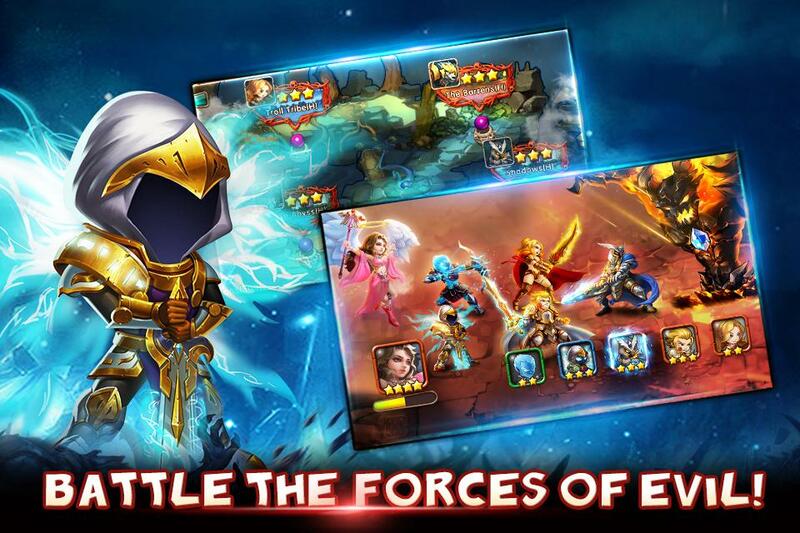 This game is a spin-off card-based brawler based on the League of Angels MMORPG. League of Angels: Fire Raiders is a free to play online collecting card game with a strong Asian graphics style. The game mixes the CCG gameplay with a turn-based battle system, in which you have to use your Units, represented by cards, in a side-scrolling battle against various enemies. Units and heroes are represented by cards, but they are placed on the actual battlefield and have actual animations and effects, unlike CCGs such as Hearthstone which only have card-based visuals during battles. The gameplay is very similar to others in the genre. Only unique aspects are the Angels: specialized heroes who give passive bonuses to their party, but take no other part in the battles. The regular units of your armies are called heroes, and come from the three usual archetypes: damage-soaking tanks, healers and melee or magical damage dealers. All of these Units have a Rage-meter, which can be spent to trigger their special attack when it is full. The regular single-player battles are quite simple: you have to defeat a fixed amount of enemies coming in 1-5 waves, with an additional boss at the end of some missions. By completing missions, you earn gold, treasure chests containing random items, and experience for your Heroes. The goal of the game is to progress through the story, level up and give items to your Heroes and Angels, and eventually take part in various new game modes other than the standard Adventure mode unlocked by default. Enemies have various strengths and weaknesses just like your units to, so you should keep an all-around strong roster of various heroes to progress without any issues. League of Angels features several game modes: first is the Adventure mode, which is the regular single-player mode with a lot of missions to progress through. Then as you progress this mode, you will unlock new modes: Elite levels which are the same as Adventure ones, only much harder, and various Multiplayer options such as Guild vs Guild battles, Co-op, and regular Player vs Player battles. There is even a chat for players, facilitating easier use of the multiplayer modes. As a free to play game, League of Angels: Fire Raiders does fine. It is not really pay to win, as there are only boosters and minor convenience items in the IAP shop, meaning players can only make their progress somewhat faster. The game is available as a simple download from Google Play or the Apple Store, or you can get the free apk and put it inside your favorite Android emulator on a PC running Windows 7/8/8.1/10 or MacOS. Warning: League of Angels: Fire Raiders servers shutted down and it is been removed from iOS and Google Android App Stores! Sometimes when playing League of Angels: Fire Raiders, bluestacks ask you fee to pay but gives you option to download some apps. Every time it asks you just select “Install apps” and continue using it free. I hope you enjoyed this guide, please rate and share. 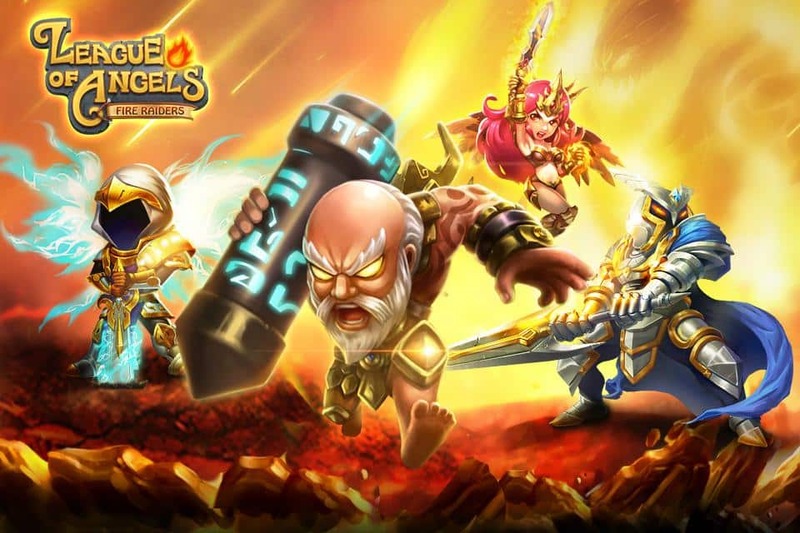 If you have problems running League of Angels: Fire Raiders on desktop or any other issues, leave a comment below.